Skin disorders are incredibly common; in fact, most of us suffer from something whether it be dry skin, oily skin, pigmentation spots, or rosacea. But what exactly is rosacea? We have all heard about it, and yet, we often just think of it as excessive redness on the face. Rosacea is actually a chronic skin condition that makes your face look red, can cause swelling, and can cause sores that look like acne. While this condition is completely not life threatening, it can be embarrassing and cause the sufferer great stress and anxiety. The actual cause of rosacea is not known, however, you are more likely to have it if you are fair skinned, between the ages of 30-50, or a woman (although men usually have more severe symptoms). 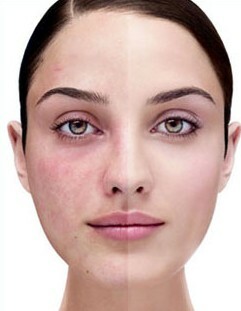 The actual cause for rosacea to appear is the swelling of blood vessels under the surface of the skin. If you think you have rosacea, here are some of the symptoms: redness of the face, blushing or flushing easily, a lot of spider-like blood vessels of the face, red nose (often called bulbous nose), acne-like skin sores that may ooze or crust over, burning or stinging feeling in the face, and irritated or bloodshot watery eyes. Rosacea is typically diagnosed by a medical examination where your doctor will ask about your medical history as well as perform a medical examination of your face. While there is no known cure for rosacea, your doctor can drastically help you identify what makes your condition worse, which are referred to as triggers. If you avoid triggers, this can help reduce flare-ups. Some known ways to help prevent outbreaks are: avoiding sun exposure and using sunscreen every day, avoiding activity in hot weather, reducing stress as much as you can, and limiting spicy foods, alcohol, and hot beverages. While triggers vary from person to person, your doctor will help you learn your personal ones. 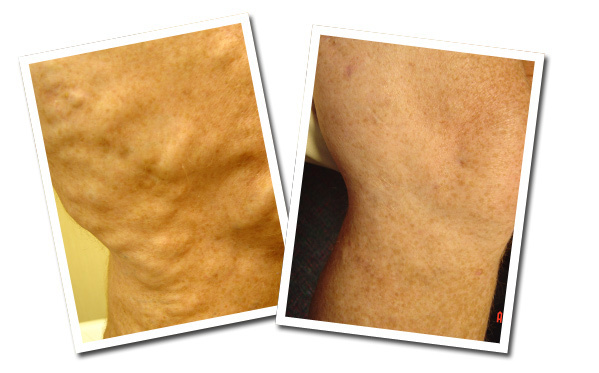 If you have severe enough rosacea, laser surgery can help reduce redness. As stated before, this condition is completely harmless, however, it can cause the sufferer to become extremely self conscious or embarrassed. If you think you might suffer from rosacea, see your doctor. There are options to help lessen the redness and reduce your triggers so that you may lead a full and happy life! Acne has often been a dreaded word for most of us. We all have suffered from a painful blemish, or had them pop up when we least want them. Some of us suffer from worse acne than others, which can be especially hard. Having reoccurring acne can ruin one’s self confidence and make them embarrassed and withdrawn; and while everyone has suffered from acne at one point, we all feel like we have a bad case or that our acne is worse than others during a flare up. While acne is never really wanted, we understand it happens to the best of us. And do know there are a lot of ways to help improve/decrease breakouts! The most important tip, as well as the most obvious, is to drink a lot of water. We as humans are made up primarily of water, we need to constantly replenish what we use in a day to keep our bodies flushed of toxins (which clog pores) and keep dry skin hydrated. It is also very important to get an adequate amount of sleep. Getting 7-8 hours per night allows your body to rejuvenate itself, including the skin on your face. It gives your face a break from exposure to sunlight, free radicals in the air, and any makeup you may wear. Which leads to the next tip, make sure you wash your face before you go to bed. It is really important to keep you face clean and moisturized before you sleep, and when washing your face, make sure you are using warm water and not hot water. If you sweat a lot during a workout, make sure you wash your face/body as soon as you can after to not let sweat dry and clog pores which can lead to more acne. Washing your hair regularly can also help improve the reoccurrences of acne; the oils your head produces can clog pores when hair touches your face. That being said, making sure you limit the hair products that contain oils, such as pomades, waxes and mouse, will help prevent acne. Being diligent with little tricks like these will really help lessen your acne occurrences, leaving you happier and with beautiful clear skin!